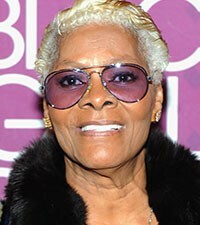 Dionne Warwick was hospitalized for almost two weeks after she slipped and fell in her shower. The 74-year-old singer, who is the cousin of Whitney Houston and Bobbi Kristina Brown, had her own bathroom incident on January 24, exactly one week before 21-year-old Bobbi Kristina was found unresponsive in a bathtub. The five-time Grammy winner was released from a New Jersey hospital on Thursday following ankle surgery. Dionne was at her home in South Orange, New Jersey when she fell and was taken by ambulance to a local hospital. Dionne Warwick rose to fame with songs such as “Do you know the way to San Jose” and “Alfie”. We at TSB especially Ben Afflicted who is her biggest fan and is now traumatised, would like to wish her a speedy recovery.